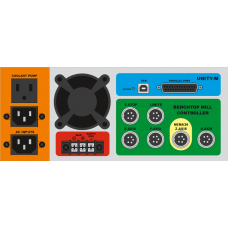 Save time and money by having your stepper motor driver kit professionally wired and installed with the new Unity Controller - the only CNC control system you will ever need!Expandable to your needs, versatile, and flexible. Can be used for 2, 3, 4, .. 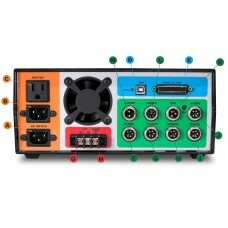 Unity Controller customized for use with bench-top mill conversions using a higher amp Z driver with NEMA 34 motor options.Expandable to your needs, versatile, and flexible.Can be used for 2, 3, or 4 axis systems.Get it with or without motorsMotors (if pu.. 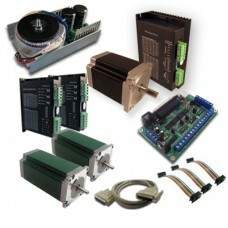 This kit features powerful 570ozin motors for your X- & Y-axis and a 1150ozin motor for your Z-axis and is perfect for your X3 mill conversions. Powerful Z-axis motor eliminates the need for a counter-balance strut.A perfect match to the CNC Fusion X3..